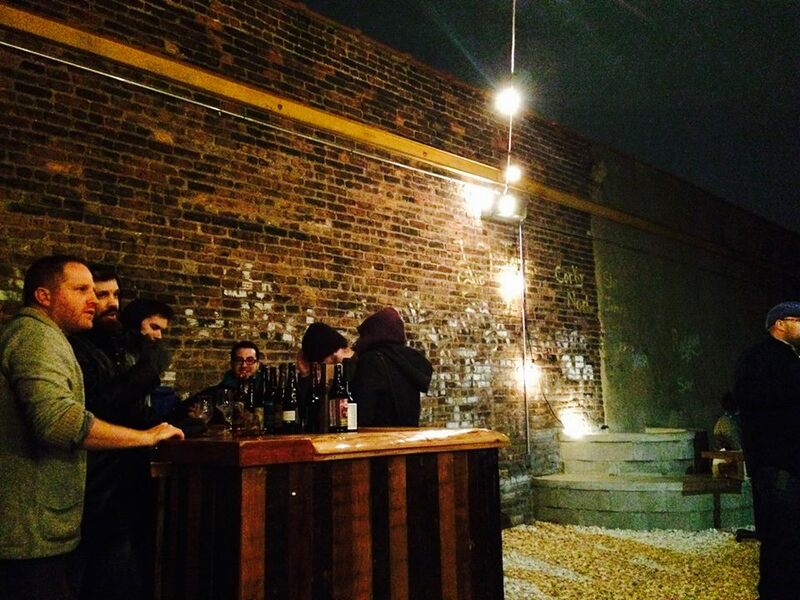 You’re a new brewery in Gowanus with a sparkly new brewpub. 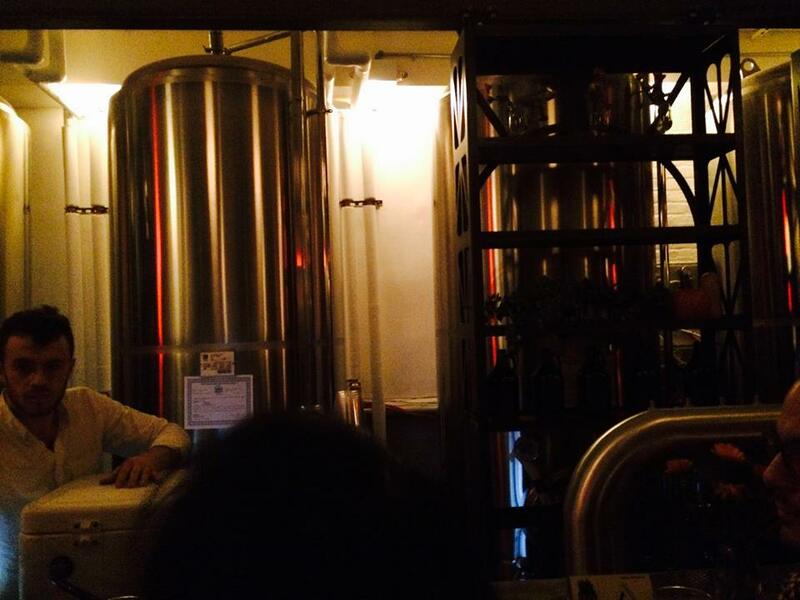 You aren’t quite open to the public but have a lot of freshly-made beer ready to go. It’s a problem we’ve all had. What do to? 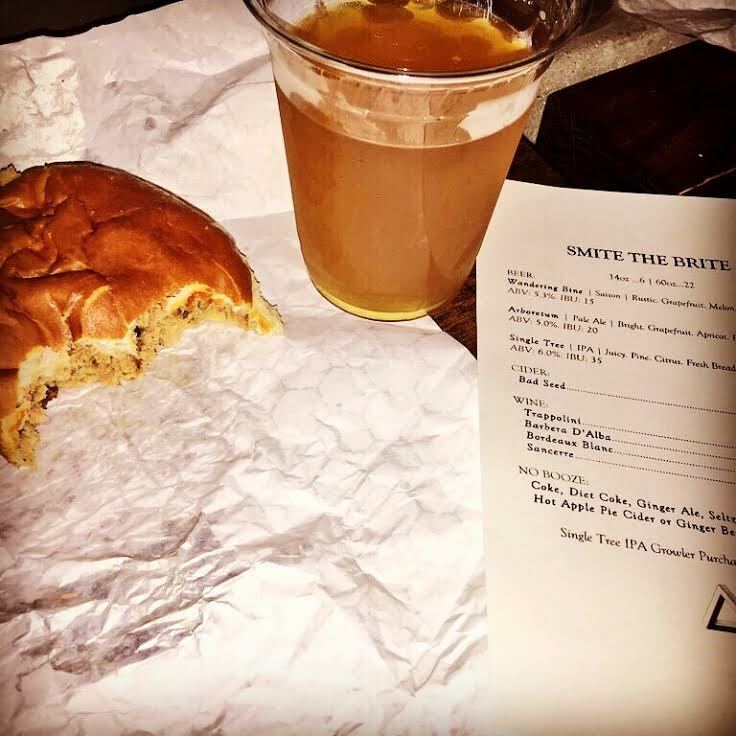 For Threes Brewing… Smite the Brite! On Saturday, there was a packed house from noon to midnight at their space at 333 Douglass Street (between 3rd and 4th Ave) for samples of three of their beers and BBQ from Delaney. The venue is expansive with a long bar, two separate dining rooms, the actual brewery space, and a 3300sf backyard with an outdoor bar. A very refreshing, crisp, fruity and dry saison. Would be great with dinner. The brewery plans to bottle this in the future with the addition of Brettanomyces, which will allow the beer to evolve in the bottle. I really liked this one because of the unique addition of Brettanomyces, which gave it a slight funk to complement the juicy hops. Not as aggressive or bitter than a lot of the hop-crazy IPAs out there. But the El Dorado, Centennial, and Amarillo hops still give you the great fruity aroma and taste that we all love. And it’s dry-hopped, twice! The food from Delaney was also outstanding. I had the pulled pork sandwich, which was literally meat on a bun. No sauce, no toppings. It was perfect. Incredibly juicy, like a smoky pork soup broth with bread. I can’t wait to check out their place in Willamsburg. 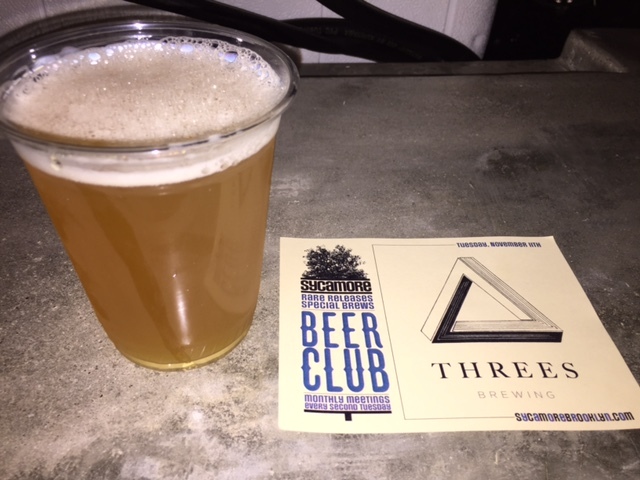 And I can’t wait for more beer from Threes, and for their official opening, in late November! See you there!